WPS Office (formaerly known as Kingsoft Office) is a high performing alternative office suite to Microsoft Office. It has been consired as the most closest to Microsoft Office compared to others. WPS Office is a more preferred alternative to Micosoft Office and is fully compatible. It is compactible with Microsoft Office PPT, DOC, DOCX, XLS And XLSX Save Documents As A PDF. 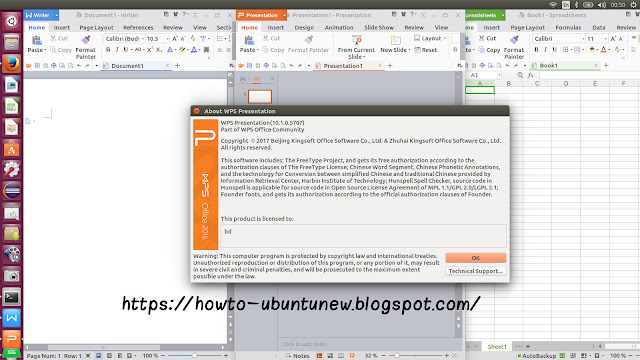 The WPS Office suite is available for Windows and Linux-based PCs as well as Android and iOS. Fixed some incorrect texture fill effects in WPS export to PDF.